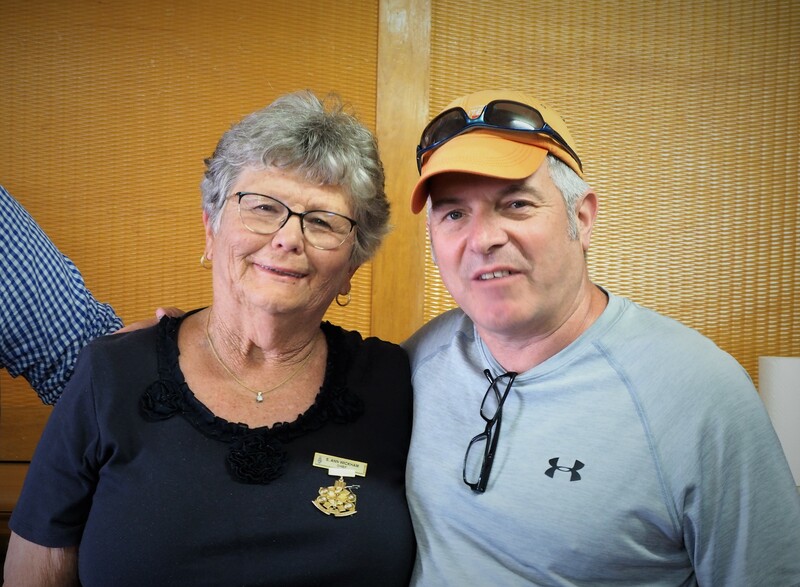 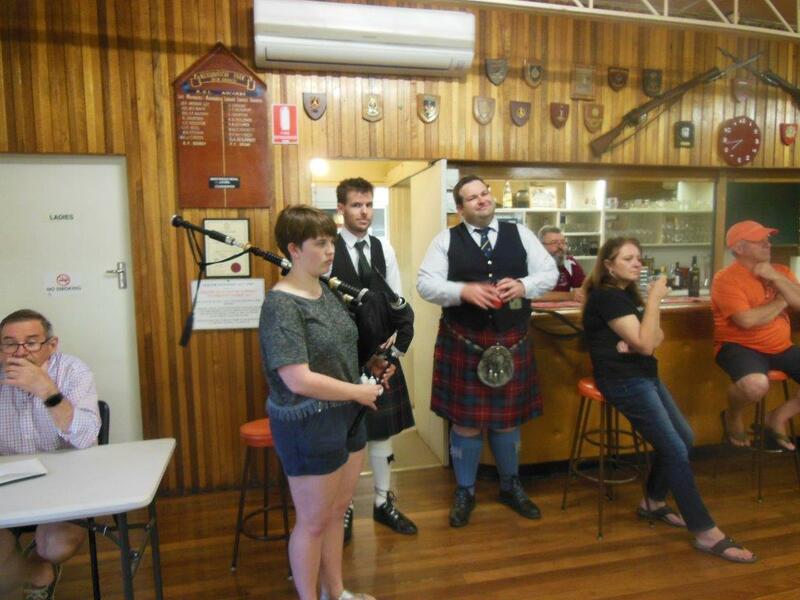 Chief of The Royal Caledonian Society of South Australia, Ann Wickham & John Reid Maxwell, Lead Drummer for Simon Fraser University Pipe Band. 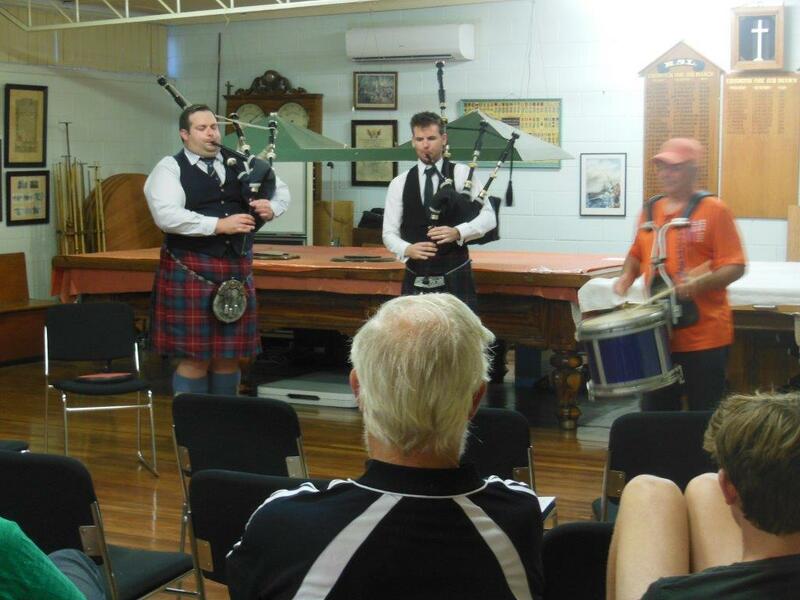 John Reid Maxwell is a Grade 1 Snare Drummer and current leading drummer of the Simon Fraser University Pipe Band in British Columbia. 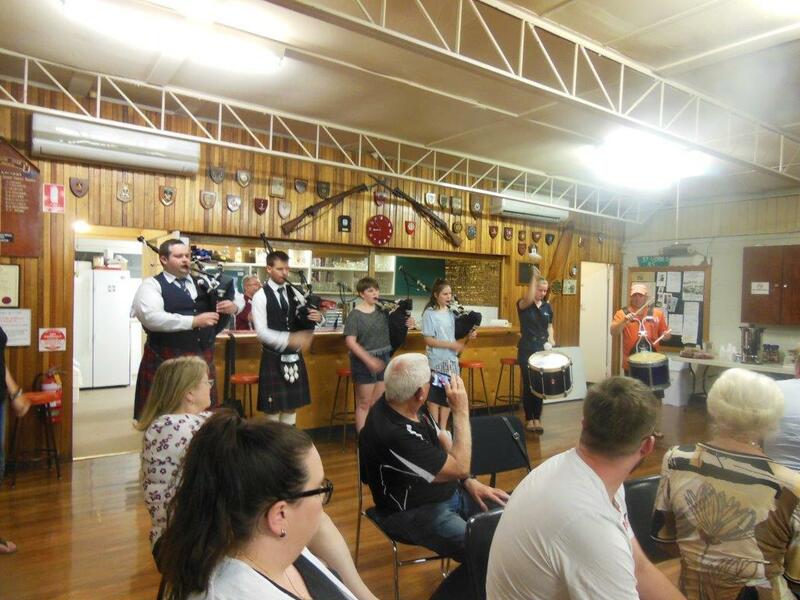 Maxwell is the first person in history to have led the drum corps of two different bands to victory the World Pipe Band Championships. 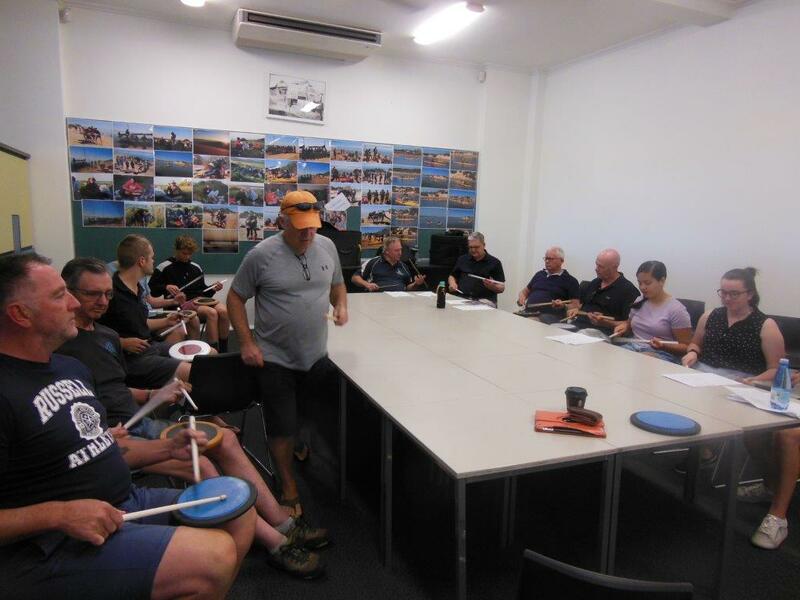 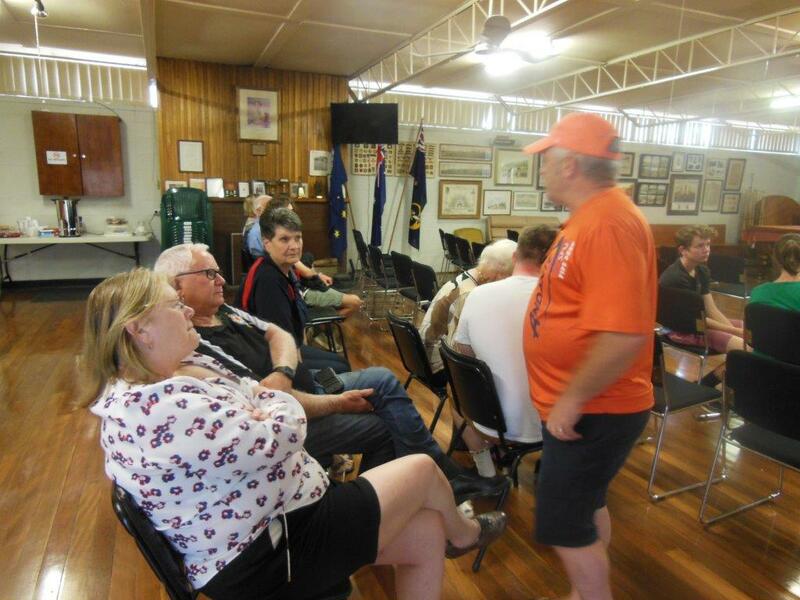 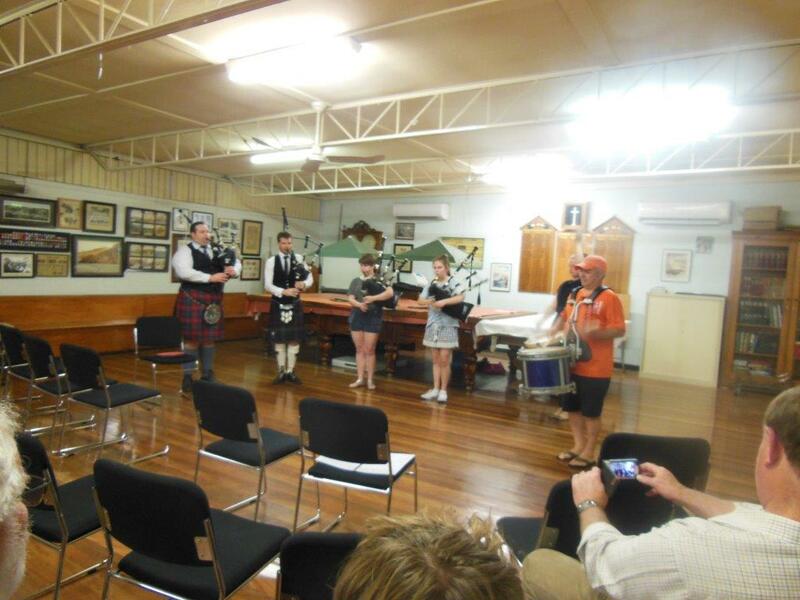 He was in Adelaide for the Piping & Drumming Summer School sponsored by the Royal Caledonian Society of South Australia. 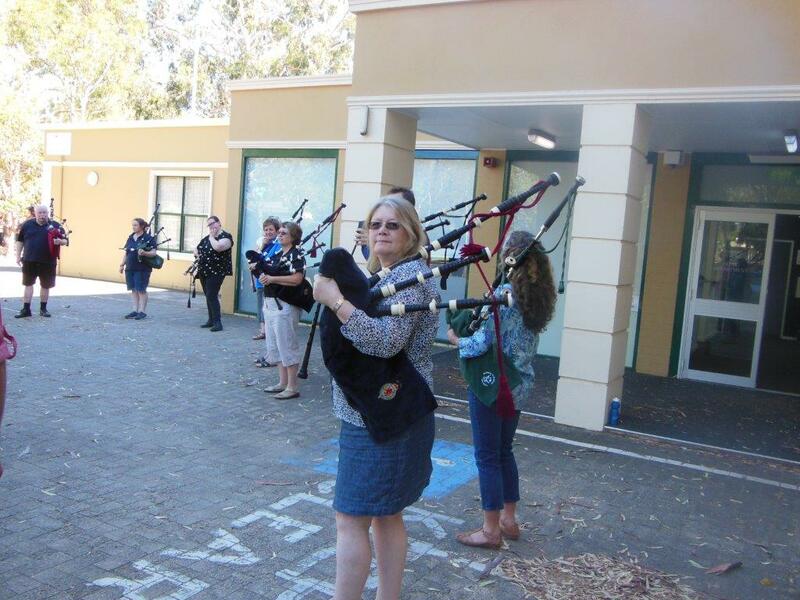 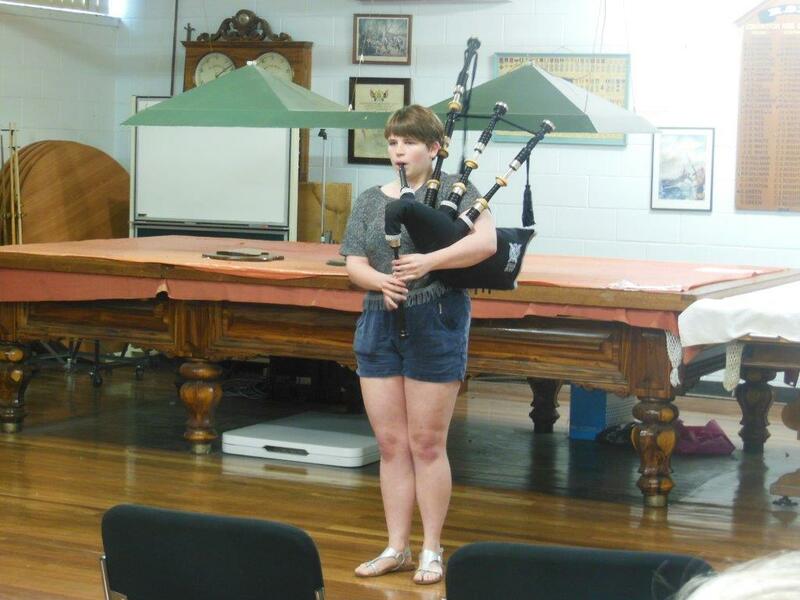 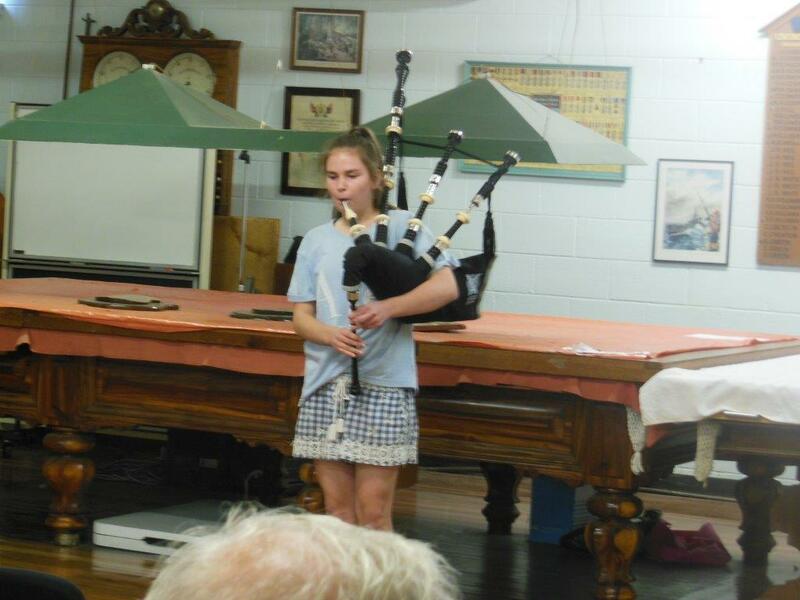 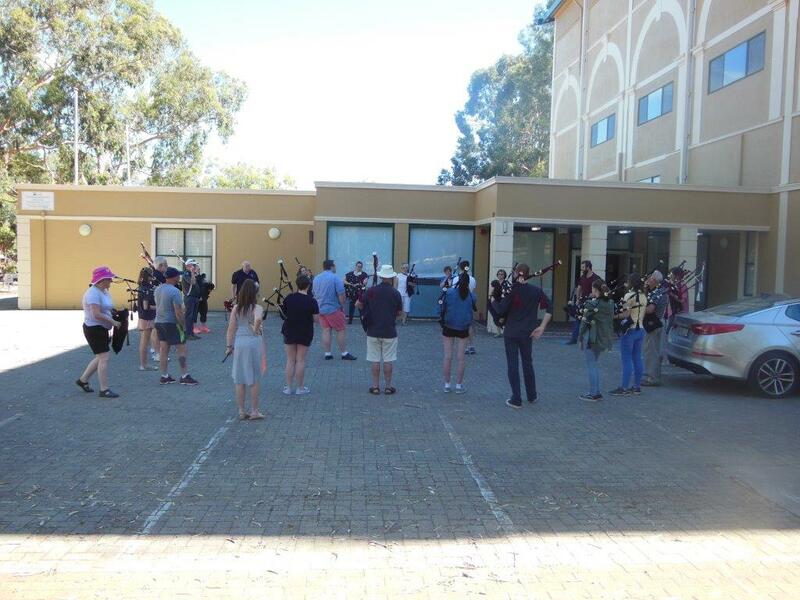 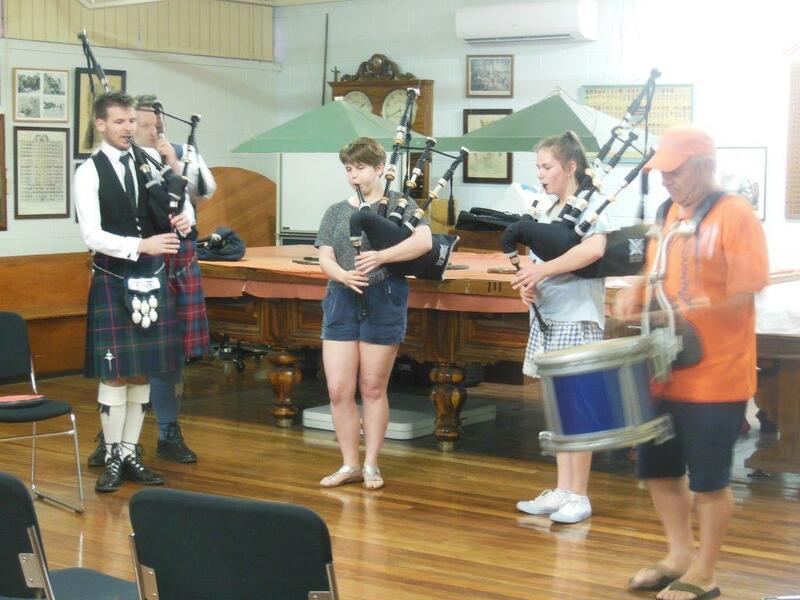 Other tutors were Iain Small (piping), Jonno McIntyre (piping), Monica Vorster (Tenor Drum). 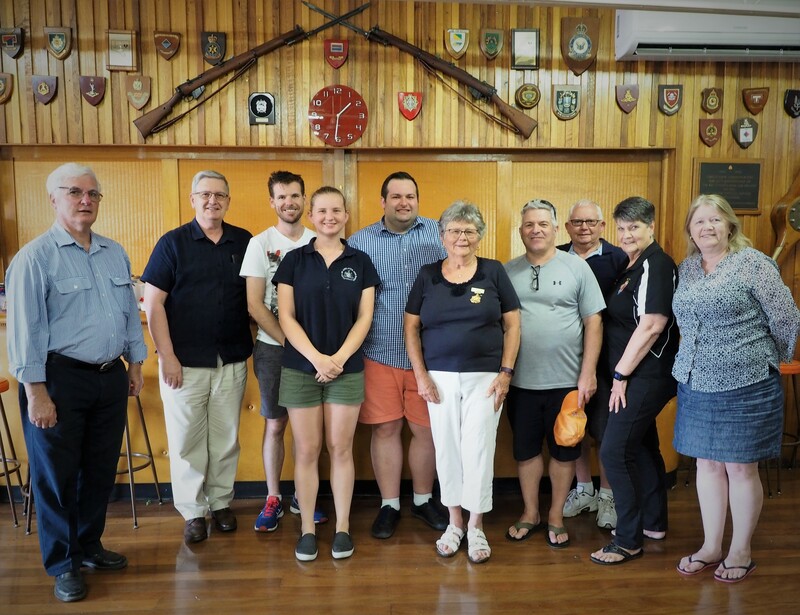 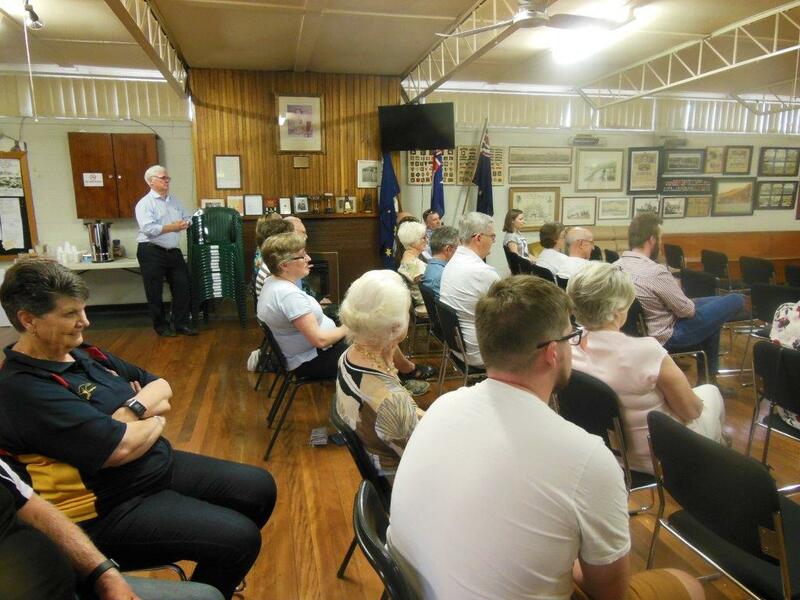 Craig Masson, Greg Bassani, Iain Small, Monica Vorster, Jonno McIntyre, Ann Wickham, John Reid Maxwell, Bob Moffat, Jeannette Macdonald & Heather Pennell.